US retailer Target just announced that for a two-week period (March 11–24), customers in the Pacific Northwest can drop off any kind of denim jeans at its stores and receive a coupon good for 20% off a new pair of jeans in-store or at Target.com. 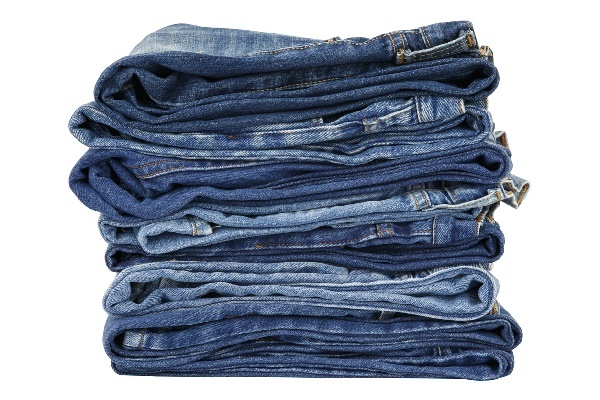 The retailer is only accepting full-length jeans as part of the recycling initiative—no shorts, jackets or vests—and they must be left at the drop-off boxes in the stores. Target ran a similar type of trade-in program in 2017, but for used car seats. The company said that it recycled 2.5 million pounds of car seats through the effort. Target is running the trade-in program in partnership with a German company called I:CO (short for “I:Collect”), which bills itself as a “global solutions provider and innovator for collection, reuse and recycling of used clothing and shoes.” I:CO operates a unique, worldwide take-back system and logistics network that collects clothing and shoes in more than 60 countries. It offers collection, sorting, preparation and open- or closed-loop recycling that returns materials to the textile industry and other industries. It sorts donated denim into two piles: one to be sold secondhand and one to be recycled. Metal buttons and other decorations are recycled as metal, and dust created during recycling is pressed into briquettes for making cardboard. Textiles that have no other use are used as fuel for energy production. I:CO’s list of partners includes global brands such as Adidas, C&A, Forever 21, Kenneth Cole, Levi’s, M&S and Timberland. The company is also working with Madewell, which makes a donation to Habitat for Humanity for returned jeans, and with The North Face, which offers coupons in exchange for returned clothing and footwear. I:CO works with international research institutes and recycling companies and is a division of Germany’s SOEX, which is engaged in the collection, processing, recycling and trading of recyclables in Germany, the UK and the Middle East. SOEX also operates PicknWeight Kilo stores, which sell used clothing by the kilogram in four German cities. Target’s sustainability efforts extend well beyond the denim trade-in program. One of its recently launched private-label brands—Universal Thread—has been designed for fit and sustainability. Some styles are made from recycled cotton and jeggings are finished with a natural substance that helps reduce the amount of water, chemicals and energy used during production. Some of the label’s jeans even have pockets made with polyester made from recycled plastic bottles. Other brands have instituted ongoing recycling programs. Patagonia accepts all its garments for recycling and pledges that its returned clothing will not end up in a landfill or incinerator. The company also sells used clothing obtained through its trade-in program at its Portland, Oregon, retail store. Since 2005, the company has recycled more than 95 tons of clothing. Patagonia began making recycled polyester from plastic soda bottles in 1993, becoming the first outdoor clothing manufacturer to transform trash into fleece. Today, it recycles soda bottles, manufacturing waste and worn-out garments into polyester fibers to produce base layers, shell jackets, board shorts and fleece. In addition, Patagonia launched Tin Shed Ventures, an investment fund that supports environmentally and socially responsible startups. H&M’s recycling effort is titled, simply, “Recycle Your Clothes.” The company partners with I:CO to recycle clothing that customers drop off in stores. The surplus is donated to the H&M Foundation, which splits it among social projects and recycling projects. In addition, local charity organizations receive 0.02 euros for each kilogram of textiles H&M collects. H&M says it has collected a total of 55,000 metric tons of garments since launching its recycling initiative in 2013. This year, Target expects to prevent more than 50,000 pounds of denim from ending up in landfills. This figure is a drop in the bucket in terms of clothing waste, as the US generates 25 billion pounds of textile waste per year, or 82 pounds per resident, according to the Council for Textile Recycling. Only about 15% of that amount is donated or recycled; the remaining 85%, or 21 billion pounds, is buried in landfills. That means that discarded apparel makes up more than 5% of all municipal solid waste generated in the US. Target’s latest trade-in program is another indication that recycling is very much in fashion. The “everything old is new again” concept has even extended to the runway: at this year’s London Fashion Week, two designers presented clothes made from plastic bottles and sustainable wool as part of their collections.